(Express) – What’s a countess to do when of the nation’s favourite TV shows stops filming at her stately home? That was the question facing Lady Carnarvon after Downton Abbey, shot at Highclere Castle, her husband’s family seat, ended. She has decided to throw a summer garden party set against the show’s iconic backdrop over two days in September. Some 800 tickets will go on sale for each day. Everyone who attends will be expected to dress in clothing from the 1910s and they will be treated to croquet, afternoon tea, stalls and a band. The final Downton Abbey was broadcast on Christmas Day to audiences of 6.6 million viewers. Another four million viewed it on ITV Player later. 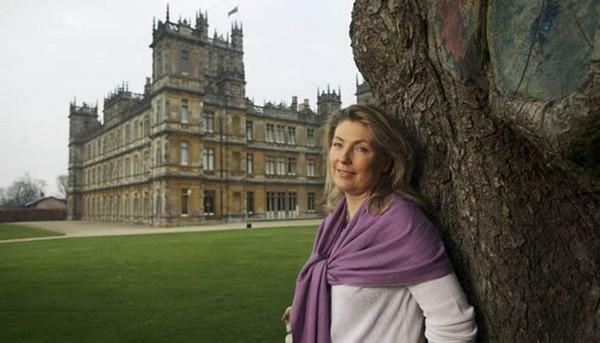 Lady Fiona Carnarvon said: “When Downton finished it was a question of what can we do now to keep the legacy going. “We have had large events at Highclere which are wonderful but exhausting, so we wanted something smaller and more intimate. This seems perfect. Lady Carnarvon thought up with the idea while at the British consulate in Vancouver, Canada. They held a “Best-dressed Mr Carson” contest. As well as Mr Carson, there will be a “Best-dressed Lady Mary” contest, vintage cars and penny-farthings.